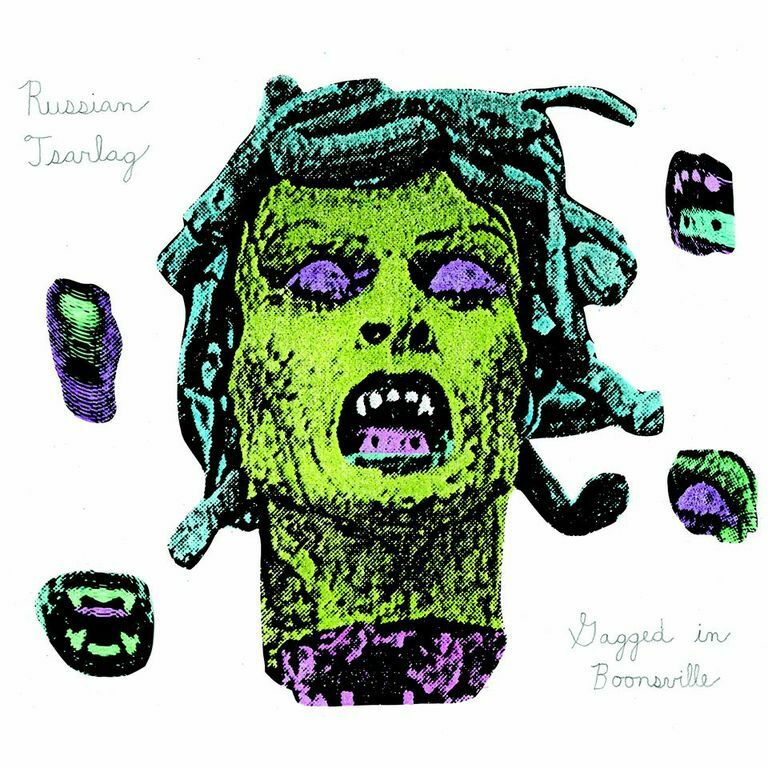 I still have a flyer from when Russian Tsarlag played a show with Kites and Black Pus in my friend’s basement back in 2007, but I skipped that show so I could see Duran Duran Duran and Skymall play at some swanky hotel in NYC. So I’ve kind of missed out on the career of this prolific lo-fi musician for the past 7 years or so. Serious bedroom downer vibes, might seem a bit too dour to get into at first, but it’s actually pretty accessible. It’s slow and minimal, but it’s not lazy. Everything from the vocals to the tape and noise effects seem considered and planned. “One Way Out” has some sort of warped easy listening vibe, but other songs definitely don’t sound as easy. “Green Woman” sounds troubled and disturbed, and the nervous, maniacal laughter at the end only emphasizes this. “Play This Tape Again” has a nice warped, warbling texture, while “Become Solid” is a solemn near-instrumental with just a bit of tight-lipped speaking. “Plastic Door” ends the LP with some backwards, circuitbent sounds which segue into another downcast basement pop song.